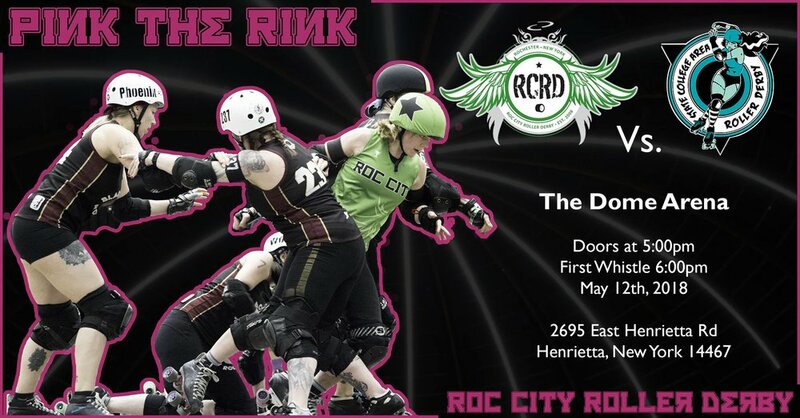 RCRD is teaming up with the Rochester Knighthawks for the home game on 2/22. The Knighthawks will be taking on there i90 rivals in the Buffalo Bandits at 7:30PM at Blue Cross Arena. The series between the two is currently tied at 1-1, and tensions are high as both teams vie for a coveted playoff position.This is one game you definitely don’t want to miss. If you plan on attending, use the link below to buy your tickets for just $15! A portion of all tickets sold through the link will be donated to RCRD. REMEMBER - BYOC!!!!! Don’t forget to bring your own chair if you would like to sit track side at our double header tonight! Seats will be available in the high rise bleachers for an aerial view of all the Derby action. RCRD will be out and about today (7/21/18) at ROC Pride. Come out and enjoy the festivities before heading over to the Dome! A handful of our skaters had their busts cast, sculpted and decorated into works of art by art by local talent. These sculptures will be auctioned off at our May 12th home bout will all proceeds going to the Breast Cancer Coalition of Rochester. The year of the dog is upon us! Join your friends in the Roc for the last in this series of scrimmages before RCRD starts hard preparations for this coming season. Chinese New Year is traditionally celebrated with fireworks, dragon puppets dancing in the street, and killer food; we’re offering a beastly test of athleticism and will to celebrate the occasion. If you’re really excited about the dragons and explosions, then we will take your wishes into account and do our utmost most post a gif of these things... maybe two if ask nice enough. 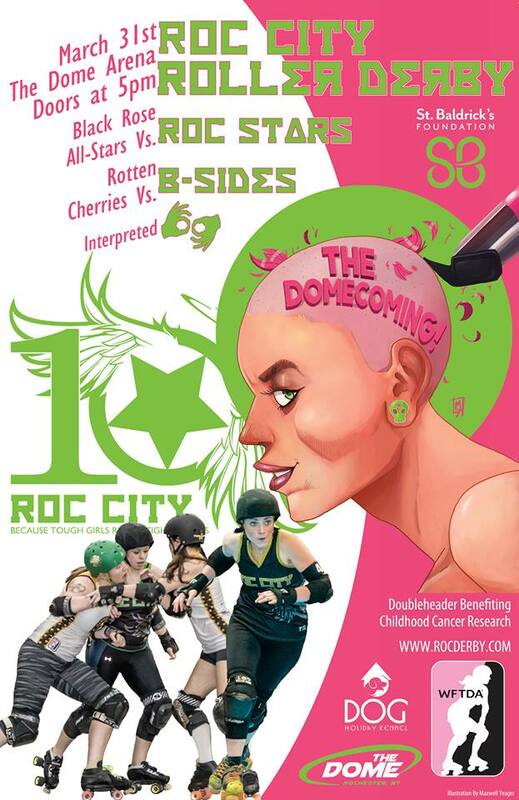 February 17th from 12:00pm to 2:00pm at Roc City Roller Derby's very own House of Bruise! $5 to play as a non-RCRD league skater. Want to watch friends and strangers trade blows and high-fives up close? Admission for spectators is also only $5, bring a folding chair and a friend! Come prepared, conditions will be cold for skaters and spectators! Don't want to say you're "gorging" this Thanksgiving holiday? Plan on coming to our Novmeber All-Incusive Scrimmage and call it "carb-loading". November 25th. 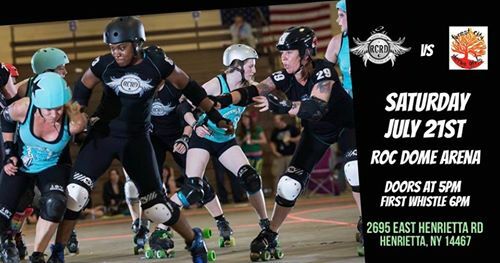 12:00pm to 2:00pm at Roc City Roller Derby's very own House of Bruise! $5 to play as a non-RCRD league skater. RCRD traded sweat for sweets on Saturday (October 28th) to hang out with Emus, and hand out treats to Rochester children at (the Humane Society) Lollypop Farms.